"Andrew Jackson was the last president who actually balanced the federal budget, where we had no national debt." 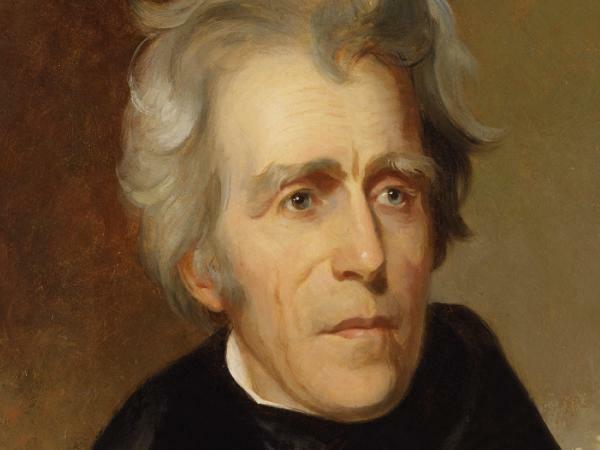 Was Andrew Jackson the only U.S. president to bring national debt to zero? By Lauren Carroll on Thursday, April 21st, 2016 at 5:06 p.m.
Treasury Secretary Jacob Lew plans to announce Wednesday that Harriet Tubman will replace President Andrew Jackson on the $20 bill (Yahoo video). Portrait of President Andrew Jackson. Former Republican presidential candidate Ben Carson said it doesn’t make sense that President Andrew Jackson will no longer be the centerpiece of the $20 bill because he was the last master of the federal budget. Carson, who now backs Donald Trump, lamented the 19th century president’s displacement in an April 20 interview on Fox Business. "Well I think Andrew Jackson was a tremendous secretary — I mean a tremendous president," Carson said. "I mean, Andrew Jackson was the last president who actually balanced the federal budget, where we had no national debt." Black abolitionist Harriet Tubman, who rescued slave families using the underground railroad, will replace Jackson on the front of the $20 bill, while a smaller image of Jackson’s face will appear on the back. Jackson’s appearance on the bill has stirred up controversy as of late, especially because Jackson, a populist and a war hero, presided over the removal of approximately 46,000 Native Americans from their land. We wondered if Carson had his historical facts straight. We took Carson’s statement to mean that Jackson was the last president to do both things: balance the budget and eliminate debt. A lot of presidents have presided over balanced budgets, which is when the government takes in more revenue than it spends, leading to no net borrowing in that year. But a balanced budget doesn’t necessarily mean no debt, because old debt can carry over from previous years. Jackson was, in fact, the only president to preside over a total elimination of all remaining debt while having a balanced budget. However, this wasn’t nearly as dramatic of an accomplishment as it would be today. Experts told us to take this factoid with a grain of salt because the debt was already on its way down, and by the time Jackson took office, the amount of debt was trivial. Jackson, who served from 1829-37, was an ardent supporter of keeping banks and government separated. He believed that banks would have undue influence on government, and he was hell-bent on eliminating the debt. In January 1829, the debt was about $58 million. (Jackson took office that March.) In today’s dollars, that amounts to about $1.4 billion. The total public debt outstanding today is higher by many orders of magnitude: $19.2 trillion. Jackson watched that debt scale down to zero in 1835. According to the Treasury Department, the debt remained close to zero when Jackson left office. But Jackson didn’t have to take much action to make this happen. Since the end of the War of 1812, which racked up a lot of debt, Congress required debt reductions of at least $10 million per year under under Jackson’s two predecessors, James Monroe and John Quincy Adams. So all Jackson really had to do was maintain the status quo, said Daniel Feller, a Jackson expert at the University of Tennessee. "The policy of paying off the debt happened before Jackson, and he happened to be president" when the debt hit zero, Feller said. In addition to continuing the already-established debt-reduction policy, Jackson vetoed some infrastructure bills that would have spent money on things like building roads. He also liquidated the Second Bank of the United States, a precursor to the Federal Reserve, resulting in a massive surplus of government money that was used to pay off the last of the debt, said Neil Buchanan, an expert in federal spending patterns at George Washington University Law School. Immediately following Jackson’s departure, the country experienced a financial crisis, the Panic of 1837. The panic resulted from several factors, including the collapse of a speculative land bubble and international capital flows, but some economists believe Jackson’s fiscal policies should carry some of the blame. "The country did eventually have the good sense to borrow again, to finance the country's enormous economic expansion throughout the 19th and 20th centuries," Buchanan said, noting that it is not always desirable to bring debt down to zero. While the only president to see a national debt of zero, Jackson certainly wasn’t the only president who presided over a balanced budget. In today’s world, it’s rare for the federal government to balance its budget, meaning revenue is higher than expenditures. Since the 1960s, only five years have had balanced federal budgets: 1969 under President Richard Nixon; 1998, 1999 and 2000 under Bill Clinton; and 2001 under George W. Bush. But in earlier years, balanced budgets were much more regular. From 1900 to 1960, about 25 years had balanced budgets, according to government historical tables. Before that, we don’t have year-to-year budget breakdowns. But we do know that there was an overall budget surplus from 1800 through 1850, so balanced budgets were a fairly regular occurrence around the time Jackson was in office. Fuller backed up that point. "Carson is merely applauding Jackson for having paid off the debt through a one-time gimmick," as opposed to adjusting policy to keep the debt low for the long run, Buchanan said. Carson said, "Andrew Jackson was the last president who actually balanced the federal budget, where we had no national debt." Experts say this feat doesn’t really deserve the plaudits Carson is giving it, but Carson has his facts basically right. Jackson was the last — and only — president to bring the national debt to zero on top of having a balanced budget. The statement is accurate but needs added context, which is our definition of Mostly True. Published: Thursday, April 21st, 2016 at 5:06 p.m.